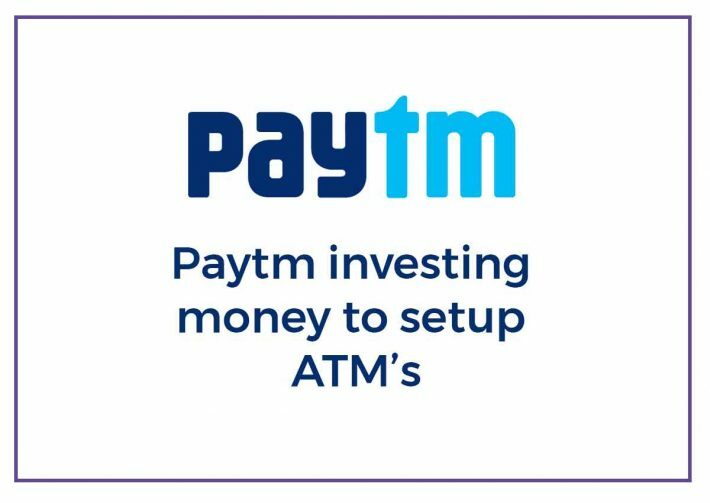 Paytm to invest Rs 3000 Crore for setting up 1 lakh Paytm ka atm in the duration of 3 years. This news was announced by Paytm payment bank on Monday they are looking forward to ensuring that every Indian has access to banking facilities over few years. This plan will allow millions of user who are not able to gain access to quality banking services as reported that over 19% of Indians still do not have access to the ATM. So they are not new in this business they are just trying to expand and provide facility to all the people who do not have access to these facilities right now. I AM FROM V.P.O BASS HISAR HARYANA,PIN NO. 125042. OUR VILLAGE POPULATION IS ABOUT 28000 AND NO ATM IS PRESENT IN OUR VILLAGE.PLZ PROVIDE AN ATM IN OUR VILLAGE.OUR VILLAGE IS NOW A NEW TESHIL BY HARYANA GOVT.